Apple's computers are, according to almost anyone who has ever used one, very good. Everything about the design has been thought out, right down to the tiny stuff like the stiffness of the folding mechanism or how the “enter” key feels compared to the arrow keys. These things mean Apple can command a high price for any Mac and has built a loyal following that allows the company to combat negative secular trends in the PC industry. Indeed, Apple is the only computer manufacture to not see a decline in sales quarter-to-quarter while everyone else does. Apple Watch 2: will Apple's second wearable be with us in June? The idea that people buy Macs to be creative is, I think, outdated. Windows has long had decent applications for creativity, like Sibelius for music writing, and the high price tag - around £849 for the base-level MacBook Air - means it's out of most people's reach, even with a student discount. No, the reason people buy Macs is because they are good. They don't break, by and large; they look cool; and they're easy to use, once you get over the fact there is no Start Menu. I have been using a Mac for almost five years, since the late stages of secondary school, and it's safe to say I likely won't go back, even though I write mostly about Microsoft and Windows. No Windows-toting laptop has that special something that Apple seemingly injects into its Mac lineup and the ones that come close - like Microsoft's Surface Book - are lacking the years of iteration that make them reliable. This is why, a few months before WWDC, I'm hoping that Apple does not forgo its best computer: The MacBook Air. The Air was, for a time, the entry level MacBook. Like the Mac Mini is to its desktop counterparts, the Air offers a (relatively) cheap price because it's not all that powerful. The screen comes in two sizes (11 and 13 inches) and both are light and thin, hence the name. However, the MacBook Air has not received a major upgrade (Apple did make 8GB of memory standard across all configurations of the 13-inch variant in April 2016 however) in almost 430 days, as of the time of writing. That's over a year, which is a long time when you think about how far the iPhone or iPad have come in that period. In the meantime, a whole new line of MacBook has been introduced - the 12-inch model - and a new computer-like iPad, called the Pro, which has a 12.9-inch screen and a keyboard cover. It's understandable that Apple would look to cut down on its Mac lineup, especially as the iPhone continues to dominate and there is evidence that the iPad could be viewed by consumers as a PC replacement, even if the transition to this viewpoint are gradual. But I think Apple's potential neglect of the MacBook Air is a mistake and potentially opens it up to “just as good” competitors, most likely running Windows. 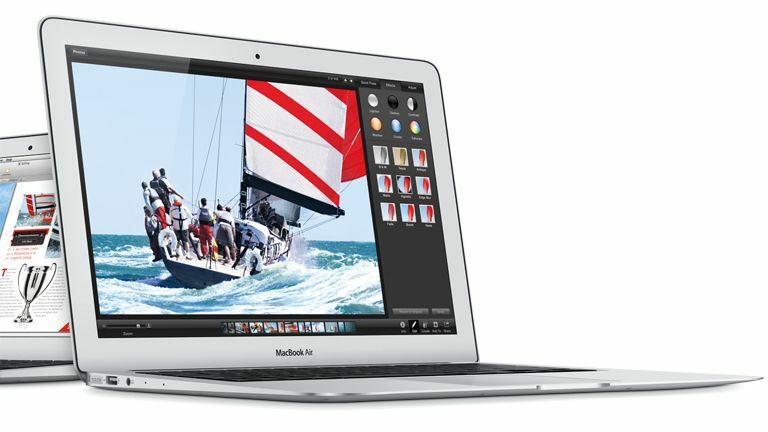 I'm looking to upgrade to a new Mac later this year as I head off to university, and it's unlikely I will be getting another MacBook Air. The screen, for example, is not Retina - the ultra-high-resolution setup found on the other models - and, if the reports are to be believed, it will likely stay that way. If a new Retina MacBook Air was made I'd buy it: the current model has great battery life, a good screen size, and I'm a big fan of the design, especially the way it tapers into nothing. Of course, Apple has brought out a new MacBook which could work, but the reviews say it's underpowered and I'm not a big fan of the new keyboard, which uses a different spring design to the Air. Maybe I should just bite the bullet and buy a new MacBook, accepting my fate as someone who likes a line of computers that clearly don't fit with Apple's new modus operandi of thin, light, and iPad-like. Either way, Apple: please don't kill the MacBook Air. Hands on iPad 9.7 review: can it really reaplce your laptop?